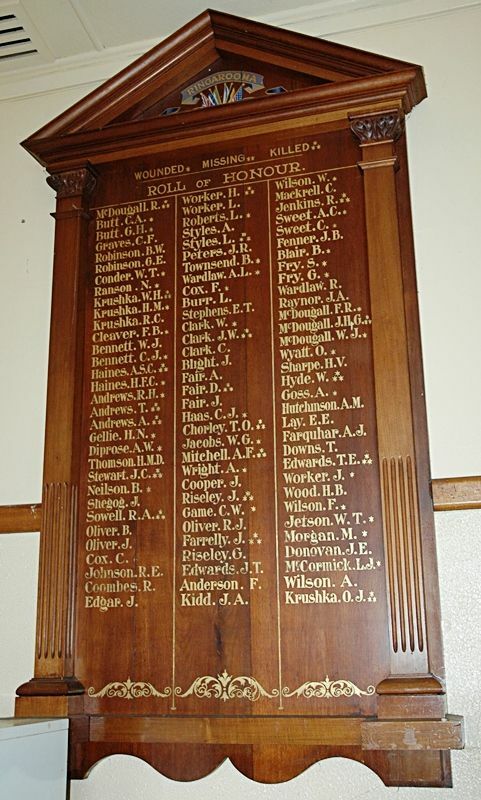 The large wooden honour roll commemorates those who served in World War One. concluded by moving the Empire resolution, which was seconded by the Hon. A. W. Loone, M.L.C., and carried unanimously. Examiner (Launceston), 9th August 1917.